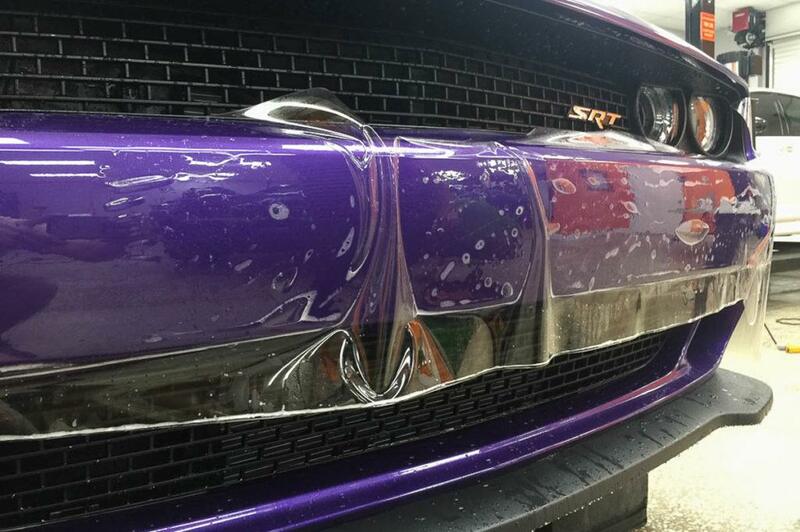 Why Choose Auto Paint Guard of Tampa? 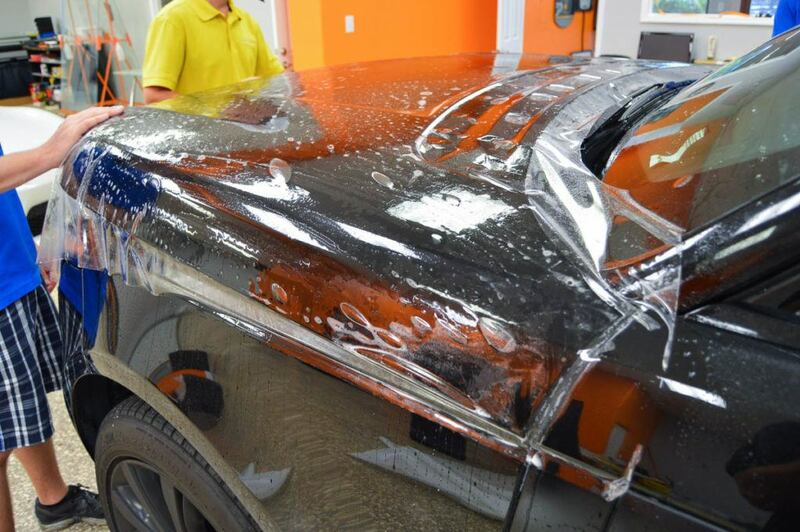 Auto Paint Guard, located in Tampa, Florida, has applied paint protection film on 9,500 vehicles since 2000. We are trained by Xpel and certified by 3M in paint protection film installation. Combining our experience and knowledge, we have put together the following information to give our customers the knowledge on which to make the important decision on paint protection film for their vehicle. • We believe you get what you pay for. Auto Paint Guard does not price match. Rather, we base our prices on the use of top-quality films, superior film kits, job complexity, and fair labor costs. Newer companies often rely on low-cost, inferior films, poorly-designed kit patterns and lower pricing to obtain price-sensitive customers. The job will cost you less, but installation quality will be lower and durability will suffer. Auto Paint Guard provides superior installation that will protect your paint and lights for years to come. • Buying a clear bra through a dealership may appear attractive, but can be fraught with problems. Often, installers at dealerships are not properly trained. On many occasions, we have seen examples where the installer did not use computer-cut kits, but rather used “bulk film” and attempted to cut it to fit the contours of the car with razor blades! This usually leads to cutting through the clear-coat and often the color coat as well. Further, dealerships often use inferior, lower-cost films and kit designs that provide only minimal coverage and protection. Dealerships simply want to get the job done quickly, and as cheaply, as possible in order to get the car out the door. Quality is often of secondary importance. • There are seven film companies in the industry: Xpel, 3M, Suntek, ClearShield, Avery, Llumar and Venture films. • There are several design companies such as: Xpel, Proform, Invisible Patterns, Computer Cut and 3M templates. 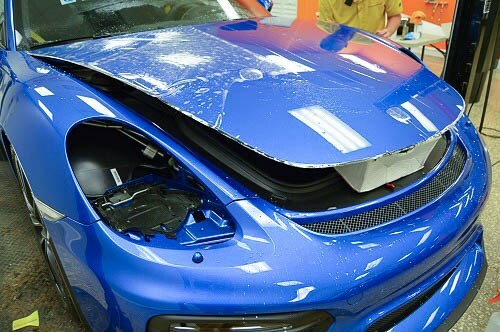 • $20.00 vinyl kits sold on EBay and other internet sites are not Paint Protection Film. They are not designed to stop rocks or road debris. They provide no more protection than putting a layer of masking tape on the front of your car. They will not hold up long term. Prepping the paint is a very important process as it can make the difference between a good install and a perfect install. 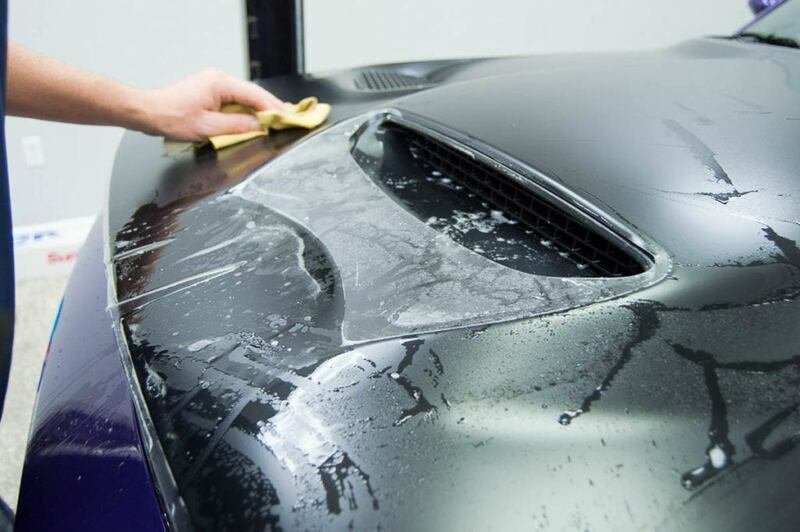 We always recommend bringing your car to us clean, however, either way we are going to prep the areas that we are working on prior to installation. We always wash the areas with a degreaser to get off any dirt, bugs, wax and blast out the crevasses to get rid of dust. We then use a clay bar to get any contaminates off the paint, which can include rail dust, over spray, etc. The last step is to use a special wax on the paint, this helps with installation and most importantly allows the film to come off easier down the road. Some customers, want the paint 100% perfect prior to installation. If that is the case, we offer paint correction services to make the paint perfect from all scratches, swirl marks, manufacture defects and buffer marks. After the paint correction is completed, we then wax the areas prior to putting the film down. If vehicle is getting our new car prep with paint correction and a ceramic coating, paint correction always gets down prior to paint protection film, then ceramic coating last. Auto Paint Guard strives daily to make sure our customers receive the best installation, the best film and the best design patterns for their vehicle. The experience, skill and knowledge of the installer are critical to any successful installation. A properly installed film does not have stretch marks, “grab” marks, lift lines, or large gaps around the edges of the pattern. In most cases, Auto Paint Guard guarantees a “perfect installation” that will meet the customer’s most rigorous inspection. We are also one of three major companies in the state of Florida that offers full vehicle wraps. This option, while expensive, is becoming more and more popular with owners of unique and exotic cars. All of our installed kits come with a 5 year film warranty and superior customer service. To see some examples of our work, check out the picture gallery on our website. The two design pattern companies we recommend are Xpel and Proform. They have the largest library of vehicles with the most coverage possible, including full hood, full fenders, doors etc. These patterns are more expensive than others, but with that you get a better fit with no seams, more coverage and an all-around a better install. A properly designed kit such as that produced by Xpel and Proform does not require any trimming. We can customize hood kits to wrap the edges and we can curve the trailing edge of the film on the hood, if desired. We can also cut hood kits out of 12″, 18″, 24″, 30″ , 48 or even 60″- wide film, depending on how large a section you wish to cover. Through the years, we have applied all the films available in the market. We keep a current stock of the most popular brands and we continually examine and try new films to make sure our customers receive the best. Most other companies only stock one brand of film. We spend thousands stocking multiple films so that we can offer you the optimal choice for your specific vehicle. However, we always encourage our customers to choose a film with a great warranty: ClearShield, Xpel Ultimate, Suntek and 3M film. They are the only four companies that reimburse the installer for the film and pay the installer to re-do an installation, if needed. Don’t believe companies that say that their film has a “lifetime warranty.” You will end up repaying the labor fee which makes up a large portion of the price of installing a kit. Auto Paint Guard only recommends clear coated films for our Florida residents. Non coated films scratch easily, stain and dull quickly in the Florida climate. Clear coated films act in the same way as your clear coat on your paint, providing extra protection and durability to the paint. In Florida, we have found that Xpel Ultimate, Suntek and ClearShield films provide outstanding protection and superior durability. They have the strongest clear coat film available for our wonderful acidic Love Bugs. Your local climate can affect film choice. Some films may perform better in one climate than another, so please contact your local installer. Clearshield/Clearshield Pro: The first generation of Clearshield which is still available is hands down the most durable longest lasting film on the market. The downside is, the film had a lot of orange peel texture to it and was hard to install. With the two negatives, Solargard decided to come out with a new and improve version which is now called Clearshield Pro. The new film is the clearest film on the market but durability and longevity is unknown, but we are testing constantly to see how the film holds up. The first generation film has a 5 year warranty and the 2nd generation film is now carrying a 7 year warranty. Both cover labor if film fails while under warranty. Please visit www.clearshield.com for more information. Films that contain a clear top coat require less maintenance and care compared to the non-top coat films. However, even clear-coated films require some care to maintain their brilliance and luster. We recommend the use of spray wax. We recommend its use at least once a month to provide a smooth finish and great shine to the film. The slicker the surface can be maintained, the less likely the film will attract dirt and staining. (Stains will bleach out in the sun). If you happen to get scratches in the Xpel Ultimate, 3M or ClearShield film you can take, wax or heat remove them. Do not attempt this with other films! On occasion, computer-cut kits are unavailable for such areas as aftermarket front bumpers, rocker panels, doors, A pillars and rear bumpers. Unique vehicles such as race cars, custom builds and even air planes may require special installation when patterns are unavailable. We are able to do these custom installations, utilizing skills and experience gained from our 17-plus years on over 10000 cars and trucks. If you have an application that you feel will require a custom installation, please give us a call to discuss the details. We haven’t found a vehicle that can’t be covered to our customer’s complete satisfaction!